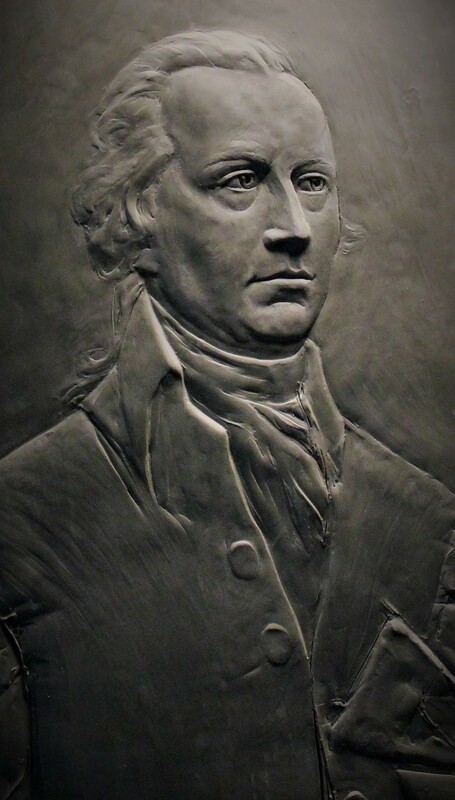 Amanda Sisk, the first-ever artist-in-residence at Historic New England’s Governor John Langdon House in Portsmouth, New Hampshire, is about to unveil the result of her residency: a bas-relief sculpture of Governor Langdon, which she created in her studio at the museum. Follow the steps of her process below. 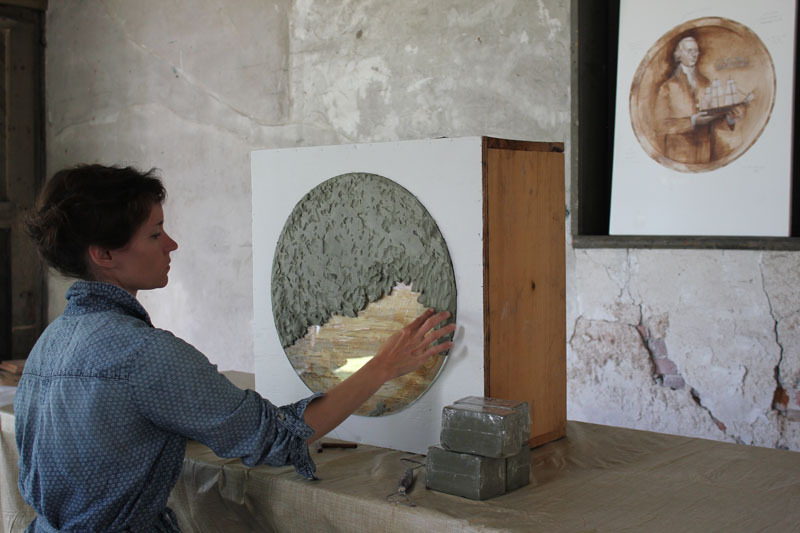 Amanda prepared a clay slab during her first few days on site. 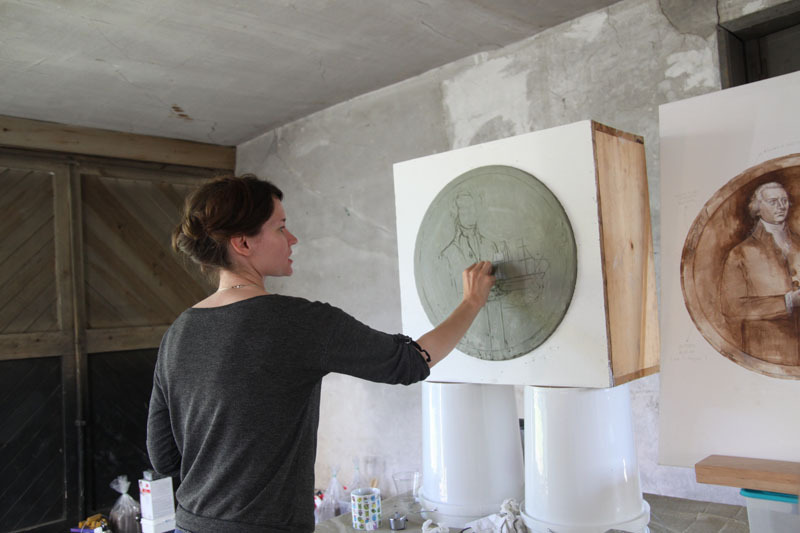 She used a preliminary brainstorming sketch, which she made prior to the start of the residency, to sketch out the initial design. Next, Amanda began to build up form by adding clay combined with more drawing. Then she continued to refine the form. As the form advances, most of the drawing is removed. While Amanda works to finish the piece, she is focused on mapping out the intricacies of the Raleigh, a thirty-two-gun frigate built at John Langdon’s shipyard in Portsmouth and launched in 1776 as a Navy warship. She will then detail Langdon’s apparel and create a border with a pine-needle motif. 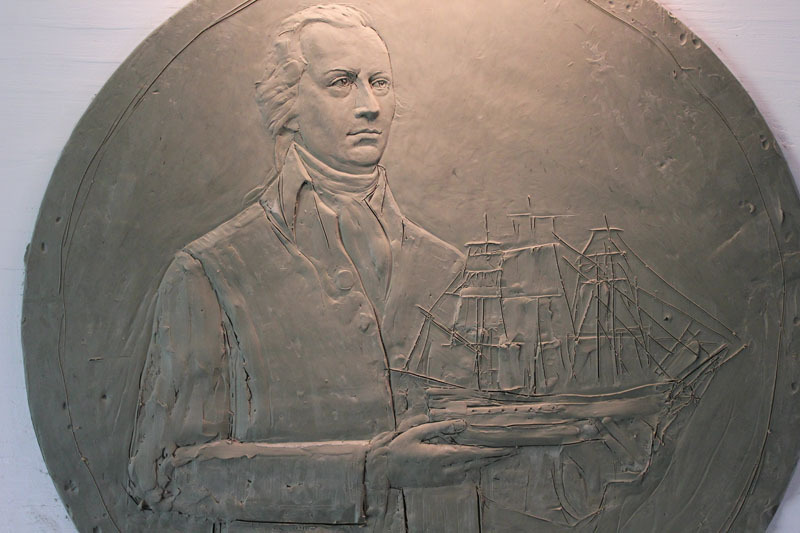 The sculpture is based on Amanda’s research at Langdon House and other historic sites in Portsmouth and beyond. 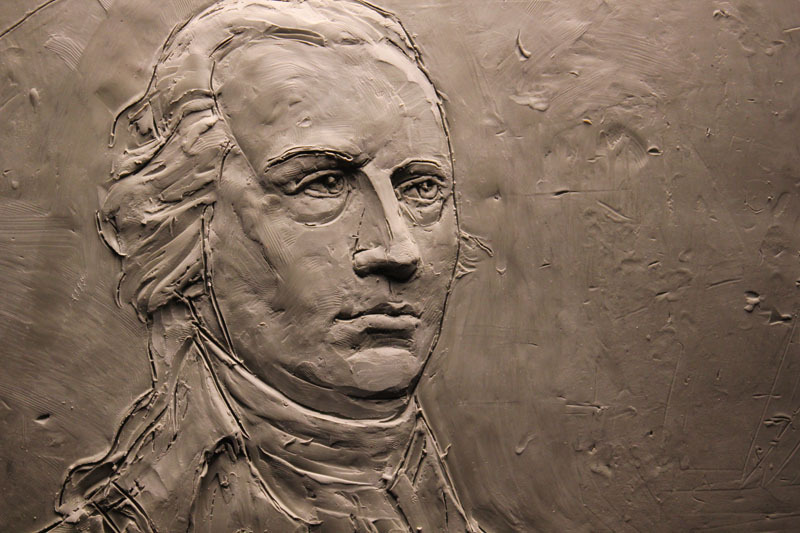 Visit Governor John Langdon House on Friday, September 2, from 5:00 to 8:00 p.m. for Art ‘Round Town to see the final sculpture in clay. 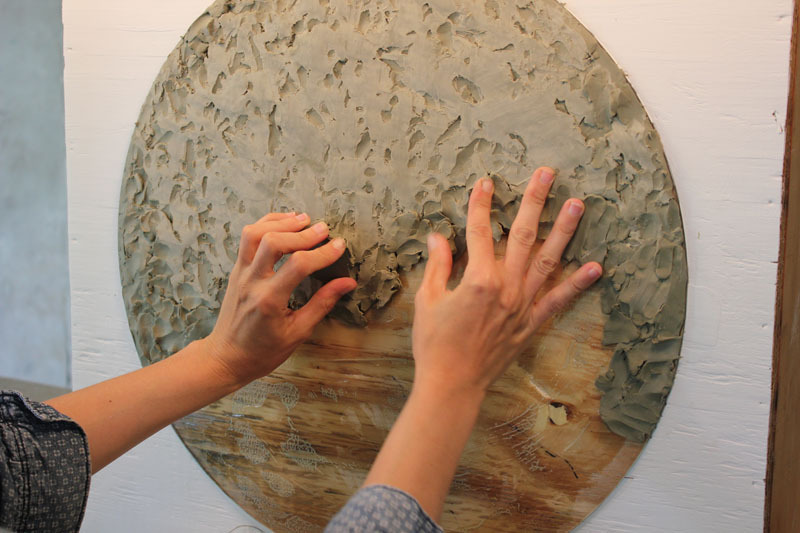 Afterwards, Amanda will cast the work in resin and back it with white pine. It will be auctioned to benefit Historic New England and our partner in the artist-in-residence program, the New England Sculptors Association.